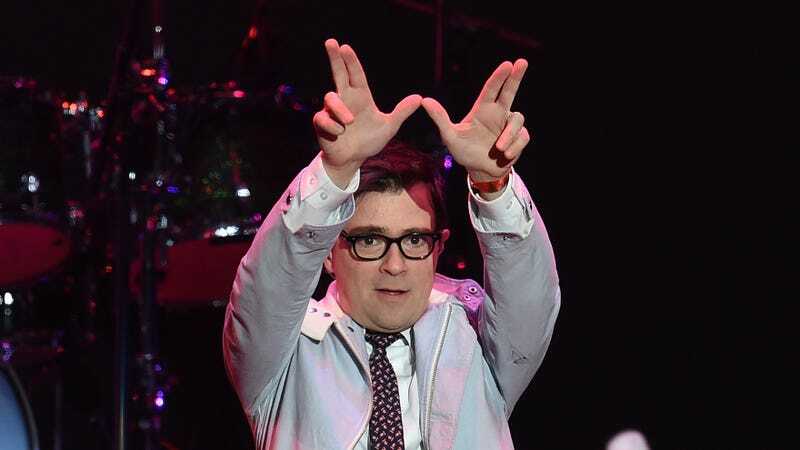 Weezer’s been talking about a Black Album since at least 2016, when Rivers Cuomo told DIY that he envisioned its sound as the “Beach Boys gone bad.” Uber-themed lead single “Can’t Knock The Hustle” didn’t quite make good on that promise, nor did it illustrate the “mature topics” and “winter night” feel he said he was aiming for. It did, however, make good on one front: “I’m thinking of swearing, which is something I’ve never done in songs,” Cuomo said. Well, mission accomplished. The singer’s potty mouth is overflowing again on the album’s new single, “Zombie Bastards,” which, while as chintzy and overproduced as so much latter-day Weezer, has a cheeky, soaring chorus that should have even the dourest Pinkerton stans shouting along. Still, not much darkness here, despite the undead subject matter. A press release does note, however, that the entire album was written on piano, a detail that can’t help but have us longing for the demos. But those likely won’t drop until the inevitable 10th anniversary reissue, so bide your time by watching a video for the track as it exists now.